Make sure to check out masthof.com for other great books like this one! When Janice Ballenger joined a volunteer rescue company, she began keeping a journal, and clipping news articles about the calls she responded to. Now, as an EMT and deputy coroner, she has seen, smelled and touched things most people have difficulty just hearing about. With the thought of “There’s nothing worse that I can see”, she continued her job. 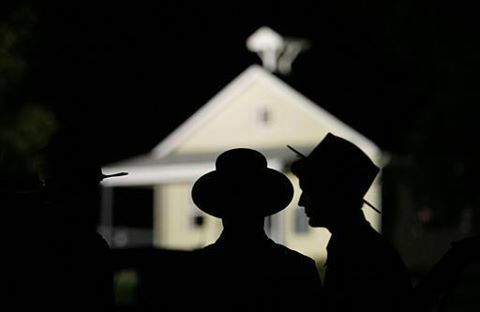 The Nickel Mines Amish School shootings in October 2006, changed that, when a milk truck driver shot ten Amish girls, and killed himself. Read her story as one of the few people who entered the schoolhouse with the bodies inside. Life through the eyes of a volunteer EMT and Deputy Coroner. DC on call the day of the Nickel Mines Amish school murders. Wrote one book to carry me through the 2 years following the Nickel Mines tragedy. I wrote to keep my mind occupied following Nickel Mines Amish school tragedy, which left 10 young Amish girl shot, execution style, 5 died and the perp killed himself inside the school. A collection of journals I had kept throughout my years as a volunteer EMT and my years as a Deputy Coroner. It was all very difficult as I re-visited in my mind a lot of calls I had forgotten. Occupying my mind for two years. Having people learn how much time volunteers devote and the images they see. Yes, I forgot to put the one thing that struck me the hardest when inside the school when I wrote the book. "Visitors bring joy to our school". That visitor did not bring joy to their school on that October day. After receiving offers from agents wanting me to write solely about Nickel Mines, which I refused to do, I self published. I personally like about 300 pages. I really don't know much about book trailers. I suppose I should research it.